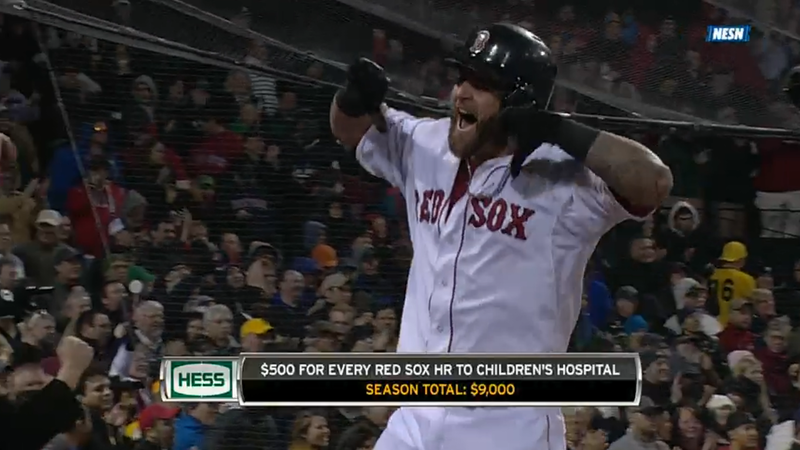 I kind of meh-ed the signing of Mike Napoli but I have warmed up to him. He gets me singing the Dean Martin classic tune “That’s Amore” in my head. The first baseman took a 90-MPH to the elbow in the fourth but stayed in the game. He had already driven in his team’s first run with a double in the second. 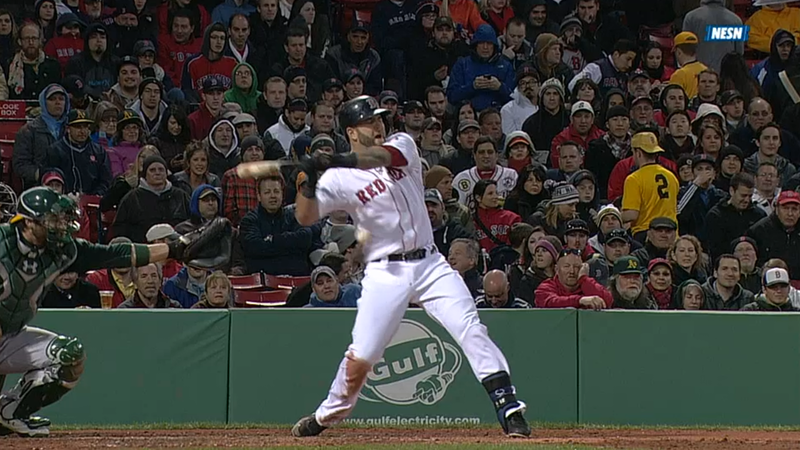 Napoli blasted the ball into the Monster seats in the bottom of the fifth with the bases loaded. The local nine’s run total doubled to eight with one swing of the bat. The power outage over the day-night doubleheader with the Royals was over and the pummeling of the Athletics pitchers commenced. 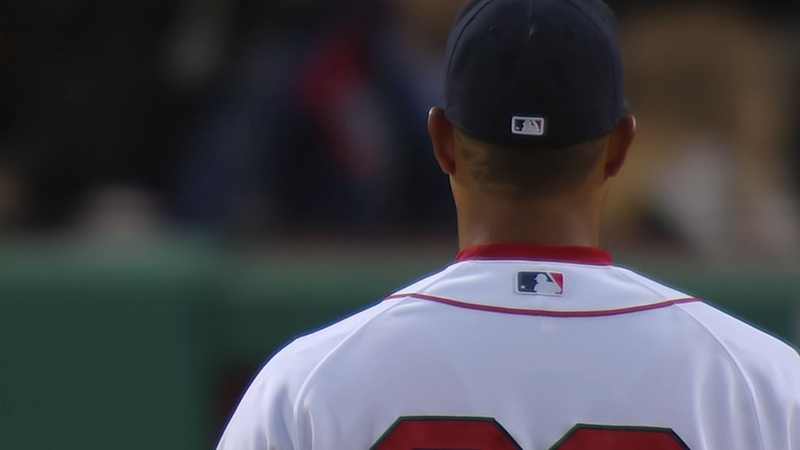 Felix Doubront enjoyed his second victory of the season and showed off his new haircut. There might be something to the makeovers of a few of the Red Sox players; Will Middlebrooks got his hair did and clouted a solo homer in the fourth. Not that Dustin Pedroia need to change his luck on the field, but some maintenance of the pelt on his cheeks is in order. A haircut might decrease the creepiness of this Athletics fan somewhat. 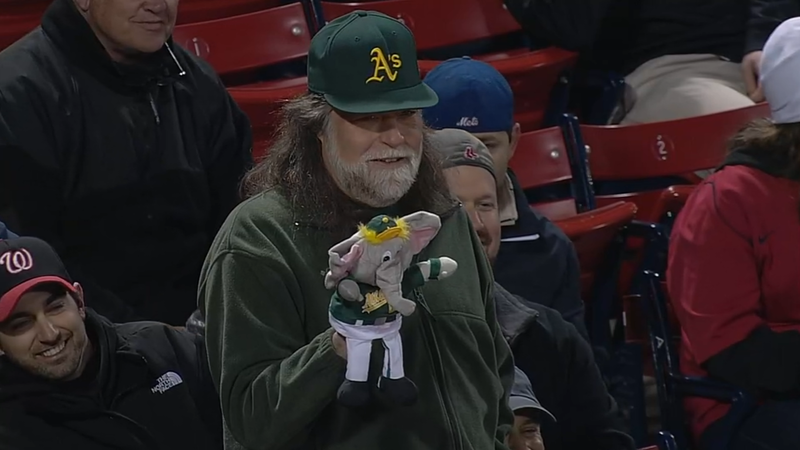 Send whoever clipped the Red Sox players’ locks over to Oakland’s dugout. A.J. Griffin’s stringy tresses and moustache are approaching funny uncle territory. Steven Wright was up warming when his team’s lead was 9-3 but John Farrell let Clayton Mortensen stay on the mound for a few too many batters. 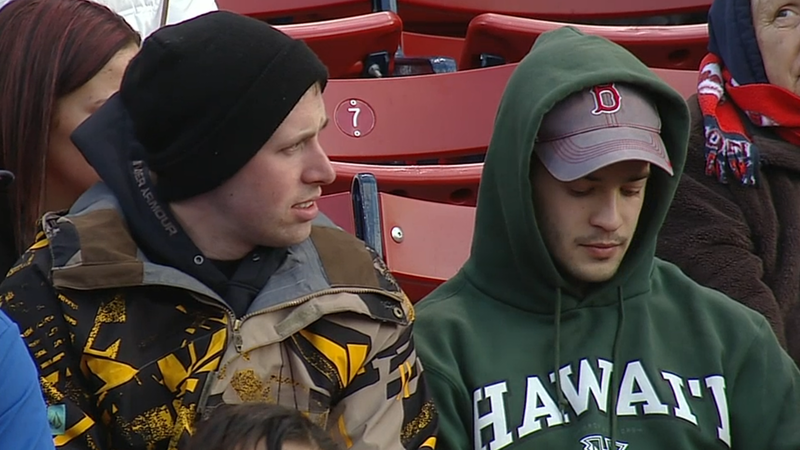 This fan didn’t get to see the University of Hawai‘i graduate and knuckleballer make his major league debut.